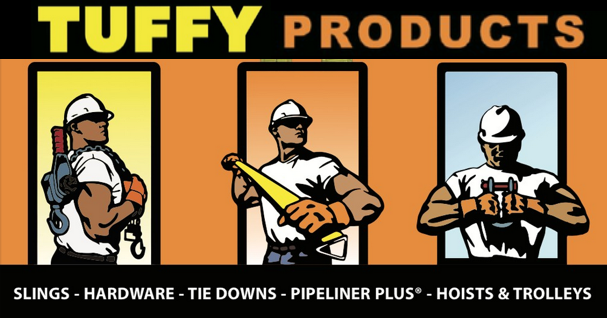 Tuffy® Products is one of the leading brands of synthetic slings, tie-downs, and straps for a reason: better quality materials, better consistency in manufacturing and better quality controls. 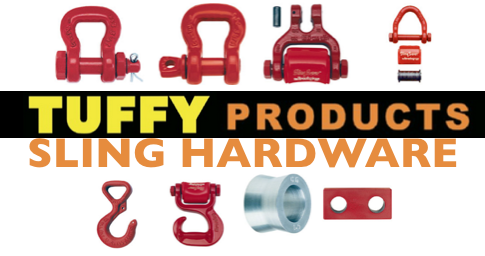 Tuffy® Products are proudly made in the United States and available only from the leading distributors of quality lifting and rigging equipment in America. 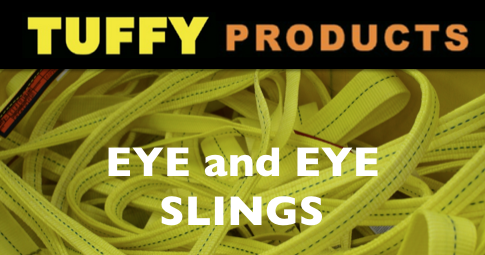 If you're looking for a full line of proven synthetic web slings, Tuffy® Products are your choice. E/E Type 3 - These web slings with a flat loop eye on each end. The eye openings are in the same plane as sling. This sling can be used in all hitches (Vertical, Choker & Basket). E/E Type 4 - These are web slings with a twisted loop eye on each end. The eye openings are at a right angle to the sling body. The Type 4 sling is suitable in all hitches, but recommended when the sling will be used primarily in a choker hitch application. One kind of lifting and transporting accessory is the tie down. These fasteners are used to hold items in place during transport and are made from high strength webbing, designed to be attached to strong, durable tie down hardware. The high strength fabric that is woven into web slings makes them lightweight but strong. Chains can also be used to tie down cargo. Chains are rated according to number grades. Each grade is designed for specific use. Both chain and high strength web tie downs are made with the fastening of goods with truck, trailer, pallets, boxes, containers, etc. in mind. A hoist is a tool designed to lift or lower a load. Hoists make transporting loads of all sizes simple and safe. They are often classified by load capacity and source of power. They typically use either wire rope or chain to lift materials. 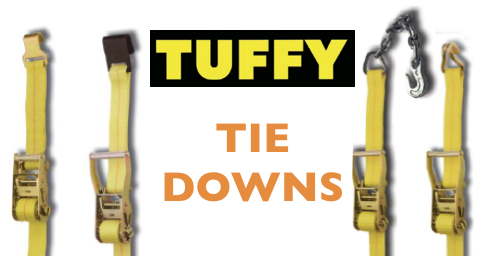 Tuffy Hoists are available as Manual Chain Hoists and Lever Hoists.